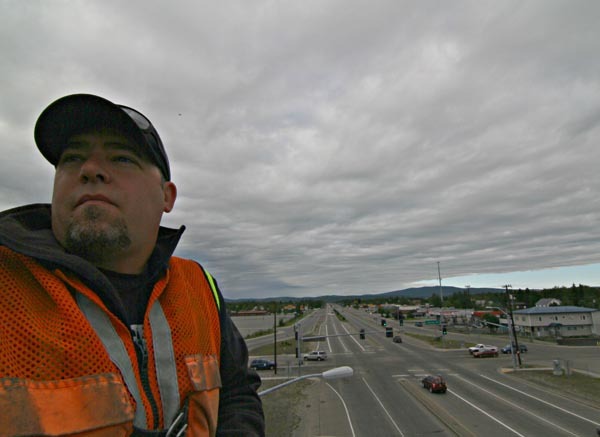 Jason Jacobs observes Airport Way, an important arterial in Fairbanks, Alaska. As Traffic Foreman for the greater Fairbanks area, Jacobs maintains 86 traffic signals and more than 3,300 street lights year-round in harsh Alaska conditions, including temperatures down to -40F. 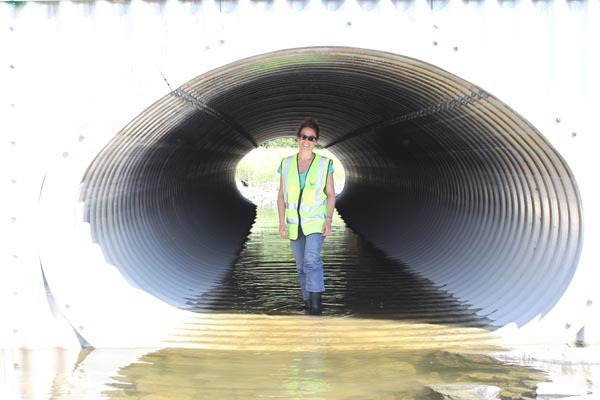 Sarah Schacher, P.E., completes a final inspection of the Valdez Tidal Flats Culvert Replacement in Valdez, Alaska. The depressed culverts, designed by Schacher and her team, accommodate the fish population in the tidal flats.